On a recent fall day, I woke up ready to spend the day fishing with a friend. The air was mild, a cool calming autumn breeze wafted through the trees, and the sky was a crisp blue with the accent of a marshmallow cloud here and there. I have little experience fishing in the waters of the East End, but this seemed like an ideal day for fishing. As we pulled up to the dock and began to unload our poles, the boat captain greeted us with an apprehensive face. “Before we go out,” he said, “I want to show you something.” He took us to a nearby beach, and pointed out to the distance. “There are sustained 20 mph winds out there,” he began, “and it’s only going to get worse.” He talked more about how the tides made the conditions even treacherous; all things that were a little bit beyond my level of nautical comprehension. What had seemed like a nice day, was actually a dangerous day to go out. The captain’s methodical thinking reminded me of a concise piece of rabbinic wisdom from the proverbial book Pirke Avot (The Lessons of the Fathers). הֱווּ מְתוּנִים בַּדִּין, be deliberate in judgement. Far too often we invest a great deal of faith in our gut feelings and our instincts. And while sometimes we are correct, we more often than not fail to think through decisions with the proper amount of deliberation and patience. Trusting our amateur instinct about fishing would have proved dangerous that day; we needed a calculated and data-driven judgement about the conditions on the water. So too, our tradition teaches, should we judge others and the world around us with careful and measured consideration. Two thousand years after Pirke Avot was written, the Nobel-prize winner Daniel Kahanaman echoed some of the Jewish wisdom of his ancestors in his book Thinking Fast and Slow. Kahanaman points out that each of us process the problems and situations around us with two kids of judgement. The first, is the intuitive fast-thinking response that we tend to favor. And the second, a slower, more deliberate and effortful form of thinking. Kahanaman through this book demonstrates how we invest too much faith in fast thinking, and neglect slow and deliberate thinking. We do so with weighty consequences. The simple rabbinic dictum summarizes Kahanman’s 500 plus page masterpiece, הֱווּ מְתוּנִים בַּדִּין be deliberate in judgement (It’s still worth the read). There is a time and place for fast thinking, but wisdom is born from slow intentional thought and judgement. there are moments, particularly in times of stress, when haste does not make waste, when our snap judgments and first impressions can offer a much better means of making sense of the world. The first task of Blink is to convince you of a simple fact: decisions made very quickly can be every bit as good as decisions made cautiously and deliberately. One compelling example that Gladwell relates a story of a group of fireman from Cleaveland who entered a one story house to combat a fire in the kitchen. After charging in with their hoses blasting, the flames wouldn’t abate. They doused the fire with more water, but still the flames persisted. Without knowing why, the lieutenant had a feeling that something was wrong, and ordered everyone out of the house. As they were leaving, the floor collapsed under them. The fire had been coming from the basement. This judgement wasn’t deliberate, rather it came from his instinct which told him that something was wrong. There may be times when fast thinking is not just beneficial, but our only option. There was no time for the lieutenant to stop, think, and solve the mystery of why the fire in the kitchen refused to abate. 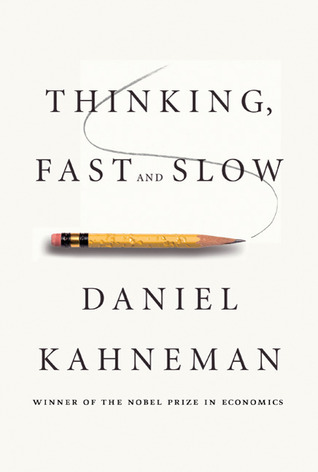 Gladwell would ask us to reconsider our fast judgement, but Kahanaman would rebut that while fast thinking is sometimes on the money, more often than not we are over-confident in our ability to intuit. If time is a luxury that we do have, utilize it to navigate the complexities of life. 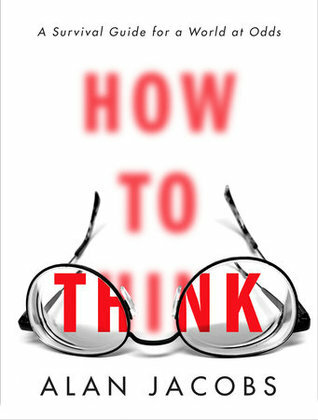 In his new book “How to Think,” Alan Jacobs offers a simple, yet useful suggestion. “Give it 5 minutes.” Our minds are stimulated with certain triggers that bias our judgement of people and the things that they say. Jacobs offers that if someone is saying something that you don’t agree with, give five minutes of your attention before passing judgement. Once upon a time during a teaching of mine, I referred to God with the gender pronoun “Him.” Normally I try my best to refrain from using a pronoun that portrays God with a gender, but it’s hard to navigate this with the biases of English rhetoric. A woman approached me after the class and told me: “I stopped listening to you as soon as you referred to God as a Him” She missed everything that I had to say because she focused in on a word that I used unintentionally. How often are we triggered by words and ideas that cause us to pass judgement and stop listening? Pirke Avot offers more insight on how we might exercise deliberate judgement. The great Rabbi Hillel follows up noting that וְאַל תָּדִין אֶת חֲבֵרְךָ עַד שֶׁתַּגִּיעַ לִמְקוֹמוֹ, don’t judge another person until you have come to his place, or perhaps more colloquially, don’t judge someone else until you’ve stood in their shoes. Take the time to have empathy, Hillel demands of us. The one way that we can properly judge others is to take the time to balance our judgement with an empathetic compassion. This would take at least five minutes. The rabbis offer the parable of a thin glass. If you put hot water (judgement) in it, then it will expand and break. If you put cold water (compassion) in it, then it will contract and shatter. If the world is filled simply with compassion, then no one would be concerned with the consequences of their actions our society would be lawless. If It’s filled only with unadulterated judgement, then it would shatter from the harshness of justice. When our judgement is tempered with deliberate compassion, we not only improve communal and social relations, but we find our exercise better judgement. Pirke Avot’s wisdom about judgement isn’t framed with a nice sounding aphorism that would cause us to make a snap judgement about its value. Would “be deliberate in judgement” have been better phrased as “haste makes waste (Proverbs 21:5),” “look before you leap,” or “don’t judge a book by its cover?” Perhaps, but the mundane and succinct phrasing forces us to think about why a sage would leave as his only legacy three simple words. We are meant to think about them for at least five minutes, and we should reflect on how we ought to take extra time to exercise methodical, thoughtful, and deliberate judgement.